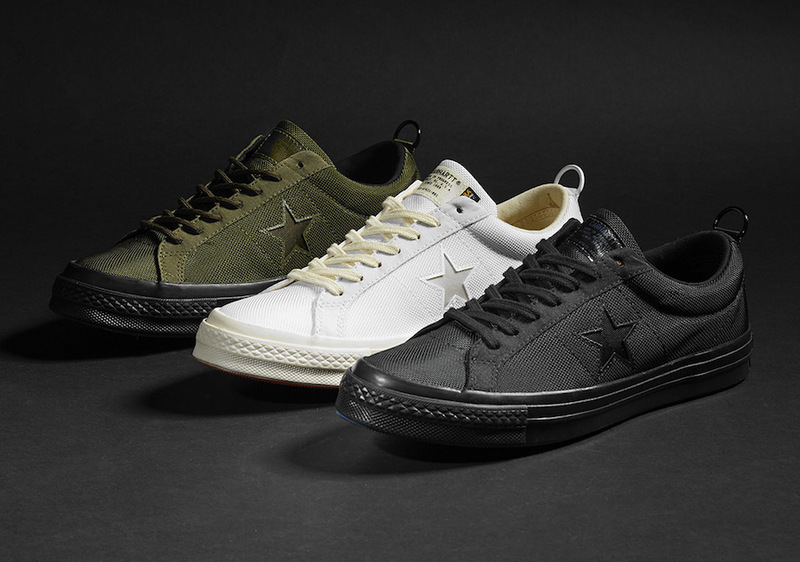 Carhartt WIP has teamed up with Converse yet again, this time for a simplistic One Star. This collaboration will be arriving in three colourways later on this month: Olive/Khaki, White and Black. These minimal colourways are set to be perfect for the winter months. 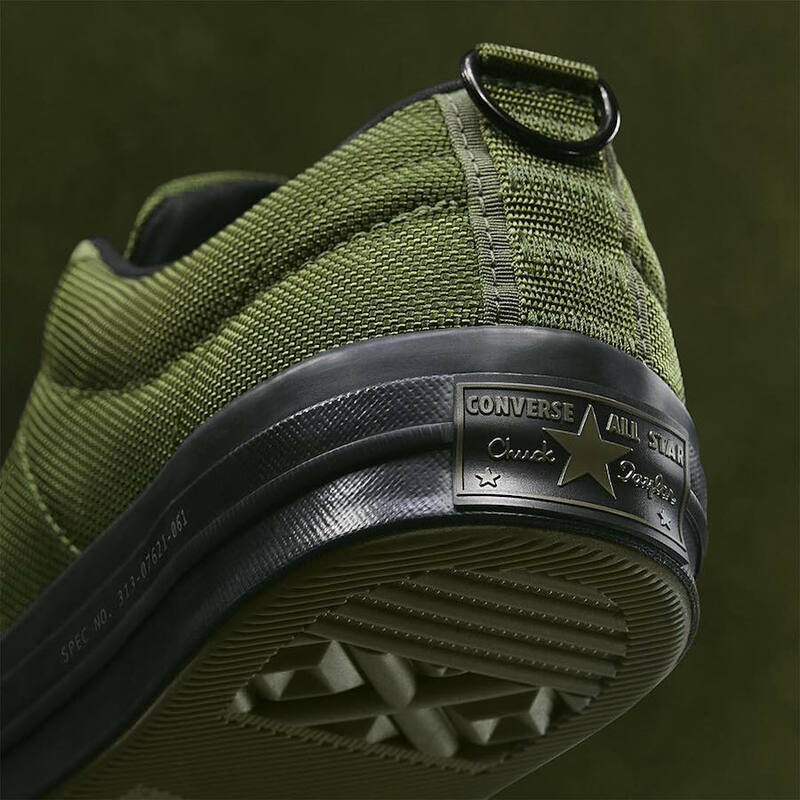 Formed out of a more rugged fabric for the upper, these sneakers boast Cordura nylon for the main material, the seams and also for the One Star detail. 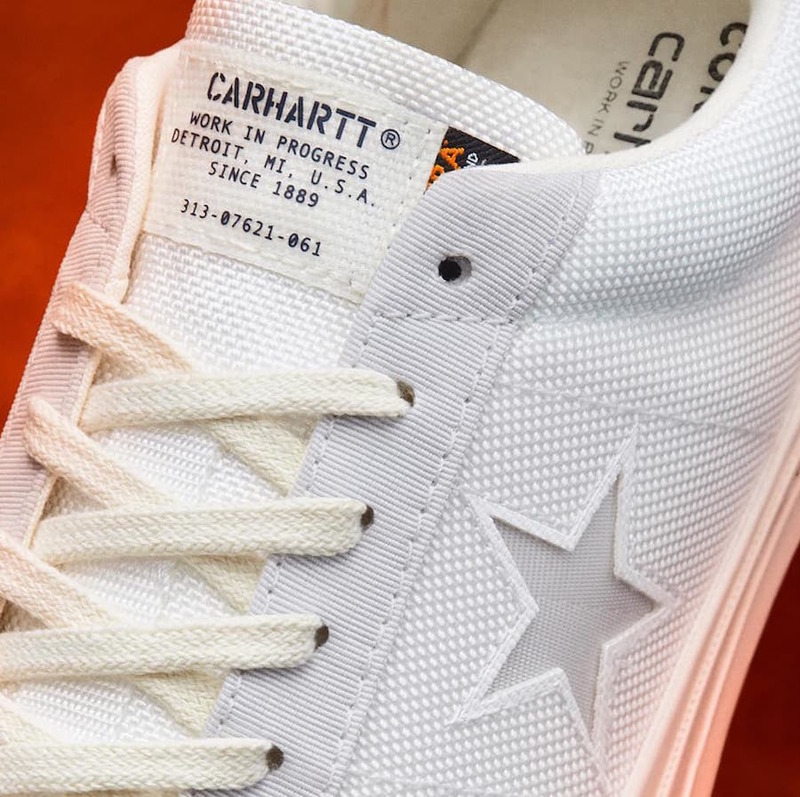 A Carhartt branded tag is on the tongue of the sneakers in an industrial style with brand information such as: the year they were established, origin city of Detroit and area code. Features on these silhouettes give nods to the heritage behind Carhartt, the material used, the industrial styling of the old army style typeface, the metal heel tab and “spec number” stamped on the midsole in a subtle way. 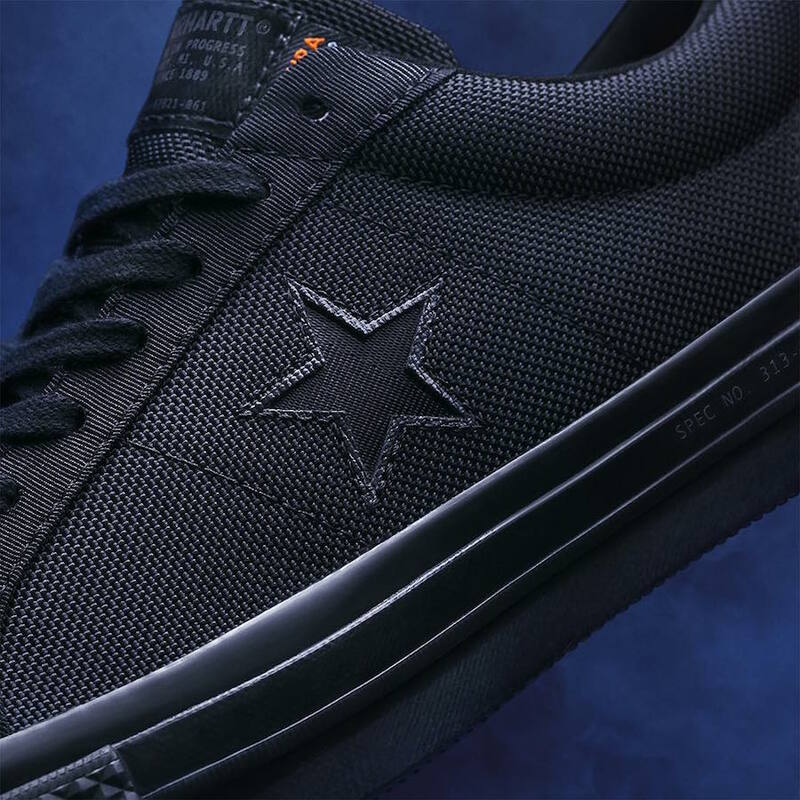 These Carhartt x Converse One Stars will be arriving later this month, so keep it glued to The Sole Womens for further updates on this sneaker along with many more daily releases!